In China, the North Korean issue is a sensitive topic. However, as tensions rise on the Korean peninsula, the space for Chinese experts to express their opinion critical towards Pyongyang has gradually widened, suggesting a shift of thinking on North Korea within the Chinese government. A speech by the prominent historian Shen Zhihua at Dalian University in March this year drew much attention in Western media for criticizing the Chinese government policy toward North Korea and calling China’s long-standing ally a “latent enemy.” Remarkably, the speech has not been censored and still can be accessed on the website of the East China Normal University. Similarly, a recent published interview with a prominent professor of the Peking University, Jia Qingguo, during the Seoul Defense Dialogue 2017 has sparked another wide debate beyond the Chinese academic community on how to deal with the North Korean issue. Jia argued that now might be the time for China to start talks with the concerned countries, especially the United States, on how to coordinate military actions, in case the North Korea crisis escalates into war. With the worsening situation on the Korean Peninsula, he stresses the urgent need to be prepared in order to prevent unnecessary conflicts or even confrontations among the involved parties due to miscalculations and misinformation. Moreover, other important issues need to be addressed, such as who should secure the loose nuclear weapons and how to restore order on the Korean Peninsula as soon as possible. This was not the first time that Jia Qingguo had brought up the idea of a contingency plan. He previously published an article on the Australian based website East Asia Forum, which caught many observers by surprise given that it is highly unusual for such a sensitive subject to be addressed so publicly by a Chinese scholar. The question of what happens if the regime of Kim Jong-un collapses and/or war breaks out on the Korean peninsula has long been a taboo topic for the Chinese government. So far, Beijing has consistently refused to engage with Washington and Seoul in talks over contingency planning, as it fears that Kim Jong-un would eventually find out about it and this would further alienate Pyongyang and undermine the prospect of negotiations. Shortly after the interview, Zhu Zhihua, the vice chairman of the Zhejiang Association of Contemporary International Studies, wrote an article calling Jia’s comments regarding the North Korean nuclear crisis a bunch of nonsense and criticizing his overall stance as being pro-American. According to Zhu, Jia’s arguments completely depart from the socialist core of China’s diplomacy and seriously harm China’s national interests and image, as well as subverting China’s consistent principles and bottom line regarding the North Korean issue. Zhu used unusually harsh words, attacking Jia personally, and argued that especially in his position as a professor at the highly reputable Peking University, Jia should not openly express a view on the North Korean issue that deviates from the Chinese government position, as this would mislead the public opinion and cause trouble for society. Jia responded with equally rough words, criticizing Zhu for not being objective and being insulting. The Peking University professor claimed that instead of seriously engaging in a discussion on how to deal with the external threat, Zhu rather prefers to point the gun at his fellow citizen. Furthermore, Jia accuses him of treating experts as suspects, a custom probably acquired during his prior work at the Public Security Bureau of Zhejiang province. 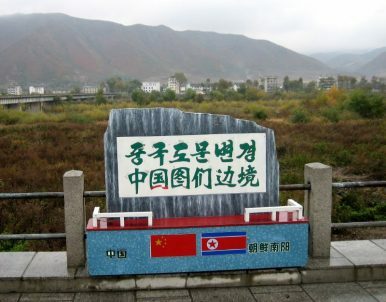 Besides the personal insults between the two scholars, the Jia-Zhu disagreement on the North Korean issue clearly represents two different camps in China, which some label as the “leftists” and “rightists.” While Jia Qingguo belongs to the latter group, which believes that North Korea’s nuclear-weapons program is a direct threat to China and regards the Kim regime as a liability, Zhu Zhihua is associated with the former group. Though the leftists support the goal of denuclearization, they are suspicious of U.S. and South Korea intentions, as they believe that the United States is using the North Korean conflict as a pretext to contain China. Although Zhu is a rather unknown scholar, his view typically echoes the conservative stance. Like many in China, Zhu believes that the United States holds the sole responsibility for the current crisis on the Korean peninsula. He is sympathetic to North Korea security concerns, claiming that the U.S. reluctance to remove its military troops from South Korea after the Korean War and its frequent and large scale military exercises with Seoul over the years has left the Kim regime no other choice than to pursue the development of nuclear weapons. Moreover, Zhu emphasizes the official Chinese stance that the United States and South Korea hold the key to solving the North Korean issue, as China does not have any decisive influence to do so. Zhu strongly rejects the idea of fully cutting oil supplies to Pyongyang, stressing that this would likely lead to regime collapse, domestic chaos, and an influx of refugees to China, and even could turn North Korea against China. Equally, he opposes contingency talks because this reflects the U.S. statement that “all options are on the table” and undermines China’s initiative for a “double freeze” to resolve the Korean crisis. In Zhu’s view, the United States used the North Korean crisis as an excuse to deploy THAAD and its advanced radar system in South Korea. In China it is believed that the radar capability far exceeds what is needed to defend against North Korean missiles. Like the majority of China experts, Zhu holds the view that THAAD is primarily targeted at China and Russia, severely threatening both countries’ national interests and the geopolitical balance in Northeast Asia. Moreover, he claims that the United States is trying to outsource responsibility to China though it is Washington who holds the greatest responsibility for the North Korea problem. He stresses that the Chinese government already works hard and sacrifices a lot to help solving the crisis. The dispute between Jia and Zhu is revealing in that it suggests that the once red line of what is acceptable to say or not to say has been steadily redrawn, allowing a broader public debate over China’s North Korean policy. The war of words between both scholars has attracted much attention beyond the academic community. Significantly, editor-in-chief Hu Xijin and columnist Shan Renping of the Global Times publicly commented on the issue, arguing that it is normal to have differences in opinion given the complexity of the crisis; however, the debate should not be politicized and the Chinese society should be united. Although it is unprecedented that the whole debate has not been censored in China, articles published by Chinese state-controlled media such as the Global Times largely lean toward the conservative camp, which still reflects the majority of Chinese policymakers’ opinions. Anny Boc is a Ph.D. Candidate at the Graduate School of East Asian Studies (GEAS) at the Freie Universität Berlin. She is currently a Visiting Fellow in the Asia Division at the German Institute for International and Security Affairs (SWP) in Berlin. China isn't abandoning North Korea; rather, it wants to reset the relationship on Beijing's terms.